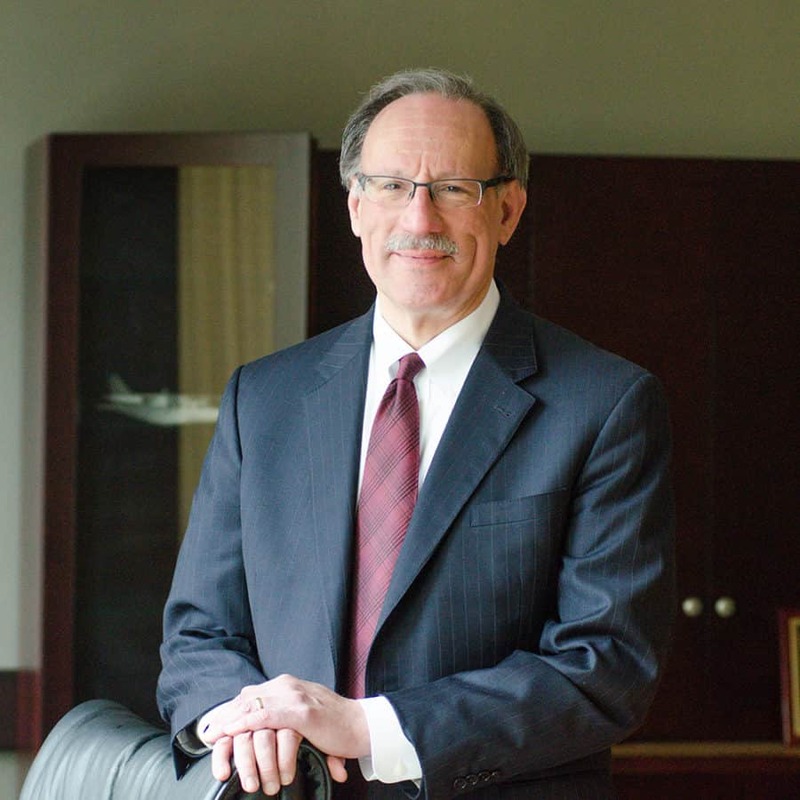 David Novotny is one of the founding members of Chittenden, Murday & Novotny LLC and has been practicing law for over 25 years. He has been recognized as one of the top lawyers in Class Action Defense and Insurance and Reinsurance litigation by the Leading Lawyers Network (a designation limited to less than 5% of all lawyers in Illinois) and has litigated cases for financial services companies, life, health, and disability insurers, and other corporations in courts throughout the country. David graduated from DePaul University in 1975 (B.S.C., with high honor) and DePaul University College of Law in 1978 (J.D., with honor), where he was Executive Editor of the DePaul Law Review. After law school, he served as a law clerk to Hon. John J. Sullivan of the Illinois Appellate Court. David is admitted to practice in Illinois and before the United States Court of Appeals for the Seventh Circuit, the United States District Court for the Northern District of Illinois (including the Trial Bar since 1985), the United States District Court for the Central District of Illinois, the United States District Court for the Northern and Southern Districts of Indiana, the United States District Court for the Western District of Michigan, and the United States District Court for the Eastern District of Wisconsin. David has extensive experience in handling jury and bench trials in state and federal courts and in representing industry clients before the Illinois Human Rights Commission and the Illinois Department of Financial and Professional Regulation, Division of Insurance. David also frequently represents broker-dealers and registered representatives in arbitration proceedings before FINRA (previously the NASD) and has handled commercial arbitration matters in various alternative dispute resolution venues. In addition to his wide-ranging trial experience, David has argued numerous appeals in insurance and commercial matters before the United States Court of Appeals, the Illinois Supreme Court, the Illinois Appellate Court, and the appellate and supreme courts of other states. David’s litigation experience includes the defense of life and health insurance companies and financial services companies in class action suits, vanishing premium and market conduct litigation, individual and group life, health, and disability matters, ERISA litigation, RICO suits, suits alleging actuarial malpractice and pension-related claims, securities litigation and arbitration, including the defense of claims brought under the 1933 and 1934 Acts and state securities laws, defense of employment practices claims and suits alleging breach of employment contracts, disputes between insurers, agents and brokers, representation of insurers in premium tax disputes, litigation involving administrative services agreements and stop-loss policies for self-funded employee welfare benefit plans, real estate and lease-related litigation, lender liability suits, franchise and dealer litigation and arbitration (representing both franchisors and franchisees), breach of contract suits, and general commercial and chancery litigation. He also has experience in defending foreign air carriers in death and injury claims, medical malpractice defense, and other general liability matters. David is a member of the American Bar Association (Tort Trial and Insurance Practice Section), Seventh Circuit Bar Association, The Society of Trial Lawyers, and The Lawyers’ Club of Chicago. A licensed pilot, David also is member of the Lawyer-Pilots Bar Association. David has been listed in Who’s Who in American Law and Who’s Who in America. He serves as an arbitrator for the American Arbitration Association and has been an arbitration panelist for the Circuit Court of Cook County Court-Annexed Arbitration program. When time permits, David also serves as a judge for the Jessup International Moot Court Competition. David has authored numerous articles and spoken at industry-related functions, including the Eastern Claims Conference.